Can Your Radar Really Hurt You? Cut your radar some slack. If there’s any radiation to fear on your boat, it will come from where you least expect it. I blame Three Mile Island. A lot of people reading this will probably point out they had fears dating back to before 1979, but that’s pretty much the earliest memory that cemented the word in my head: radiation. 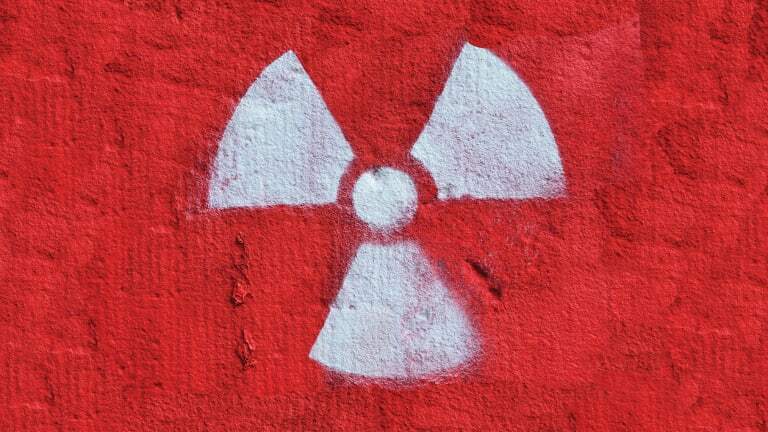 Yellow signs for “fallout shelters” pointing to the basements of our elementary schools, the made-for-TV movie The Day After, about the aftermath of nuclear war, and many other cultural signifiers wormed their way into my young psyche. There was no doubt about it, radiation was bad. 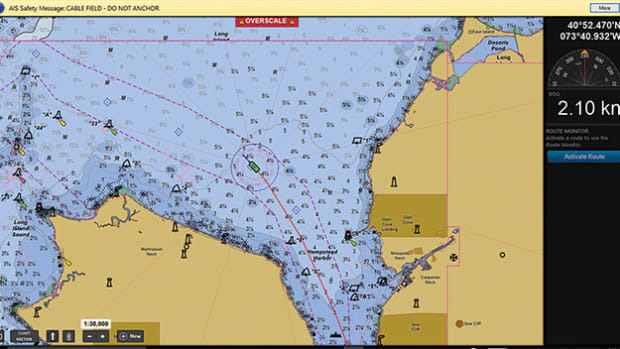 Now, looking back, one unsung victim was marine radar. What should have been Star Wars-level-cool technology was instead vilified with more stay-away-from-that remonstrations than a beat-up white van leaving a trail of empty candy wrappers around the perimeter of the playground. Even multiple radar units pose no threat when installed properly. That vibrating molecule may not threaten to turn you into the Incredible Hulk (remember Gamma rays from the comic book?). But it does have an effect. 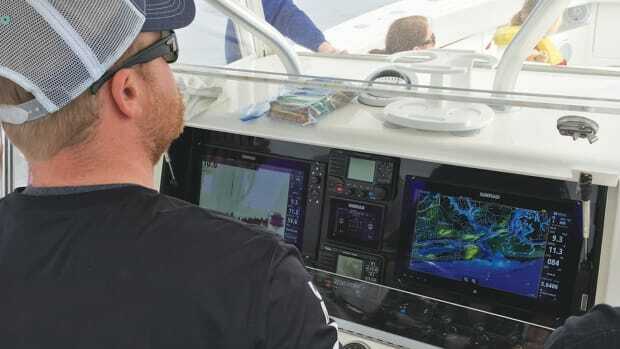 “Uninformed boaters often equate a marine radar with a microwave oven, and their body as a frozen bean burrito,” says Jim McGowan, marketing manager for the Americas for Raymarine. “It’s true that both systems use microwave energy, and generate that energy using a device called a magnetron. For comparison purposes, most microwave ovens range in power output from 0.8 kilowatt (800 watts) to 1 kilowatt. The burrito analogy doesn’t hold up though because of a fundamental difference in the way a microwave oven works versus a marine radar. In order to heat your burrito, from the inside out no less, a microwave uses continuous-wave microwave energy. That means its magnetron is on and hammering away with 1 kilowatt of energy for its entire cook cycle. The microwave energy actually excites the molecules in the food, causing them to move faster and generate heat. This is what warms the food. The longer the exposure to the continuous-wave energy, the faster the molecules go and the hotter it gets.” That sounds unpleasant, to be cooked from the inside. But it doesn’t happen to boaters. 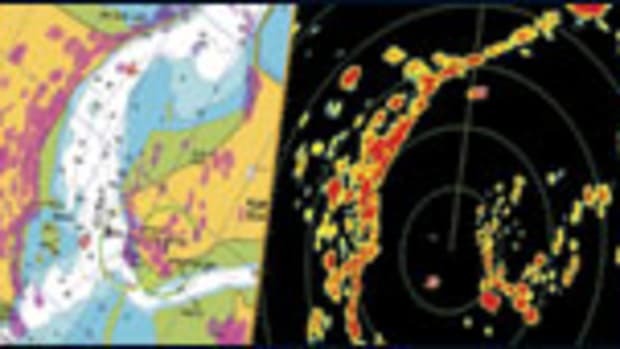 Radar poses such a small threat to humans that all the radar manufacturers with whom I spoke or emailed—and I reached out to the biggest players, including Furuno, Garmin, Raymarine, and Simrad—all cracked the same radar joke: You’re more in danger from being hit in the head by a spinning open-array radar antenna than you are from the energy coming out of it. 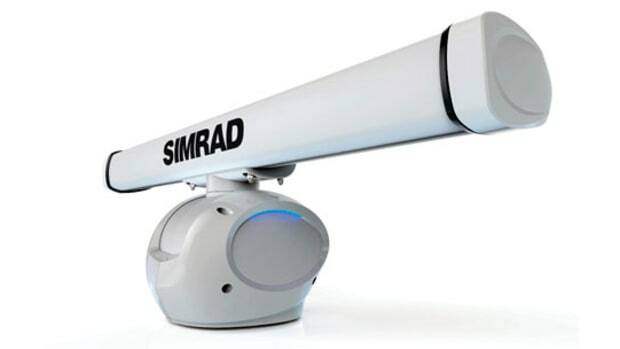 Radar systems using different frequency signals and power levels have been introduced over the last eight or so years, led by the Simrad Broadband radar system, now in its fourth generation and no doubt with more developments on the way. 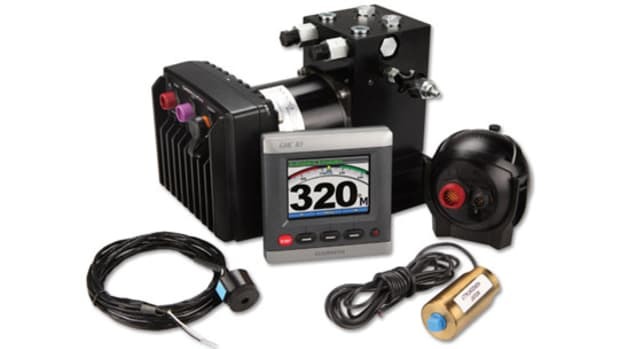 Then there are other systems, such as Raymarine’s Quantum and Garmin’s GMR Fantom, which are both considered “solid-state” systems and use lower power levels to provide close-range performance. 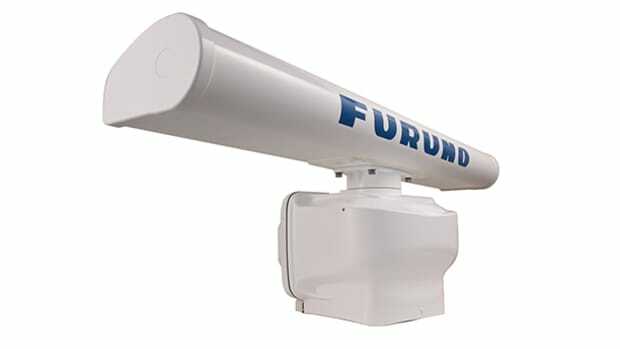 Furuno’s X-Class radar uses a 3-gigahertz frequency to provide excellent targeting at both short and long ranges. 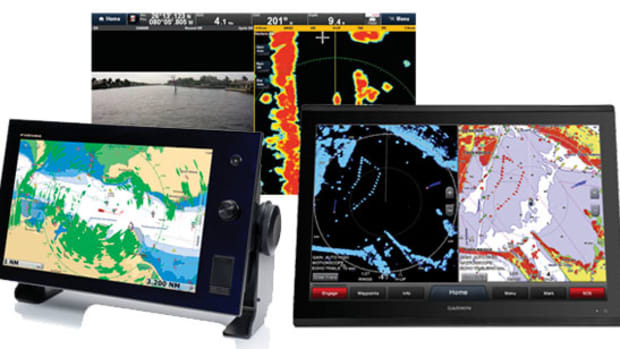 “It depends on application,” says Mark Harnett, radar product manager for Simrad. “The newer pulse-compression open-arrays like Simrad’s Halo deliver near-10-kilowatt performance for long-range punch, with the advantages of immediate-range performance, too. So this system covers navigation and bird spotting.” One may not need that range all the time, but it’s good to have the capability. Now all of that said, we at Power & Motoryacht absolutely recommend that you treat radar with the same respect you always have and give this powerful system the wide berth it deserves. But rest assured, you’re not exposing your family to any dangerous radiation levels simply by using a revolutionary navigation tool, provided you install it and use it according to manufacturers’ specifications. There are some things to think about when working with your installer. Basically you want the radar to be mounted above head height and over the highest point where you and your crew spend time on your boat. This is to make the most of the radar’s 25-degree vertical beam width (basically it shoots its signal 12½ degrees above and below horizontal). Mounting it up high means improved performance over the longest range possible. After all, it’s line-of-sight technology. 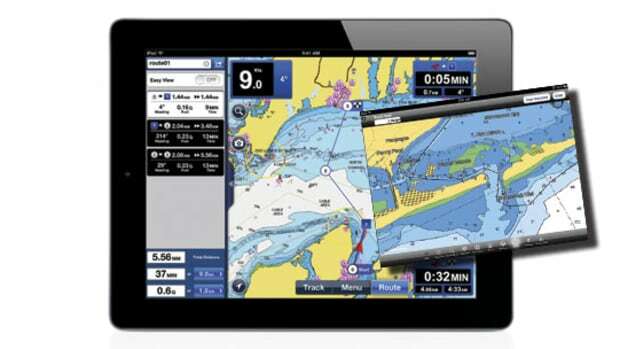 “In those instances where you can’t mount them high enough, we have a safety system built-in,” says David Dunn, director of marine sales at Garmin. 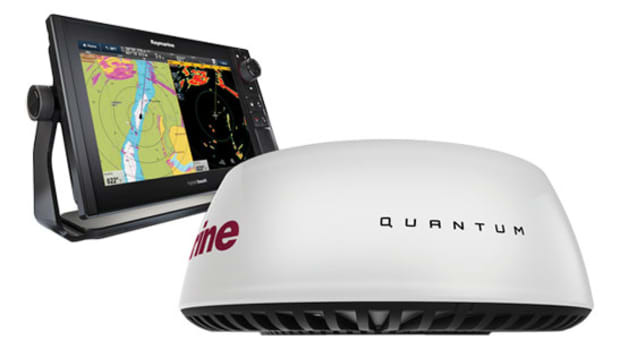 “We have No Transmit zones, and you can set it so the radar will not transmit a signal in that section.” Many systems offer this peace-of-mind feature, including those from Garmin and Furuno. You get a less-than-full picture of what’s around you, but the signal shooting through all those bodies, seats, and equipment probably would yield less-than-perfect results anyway. Lower-power units can benefit from a lower mounting position, reducing sea clutter and improving minimum range. 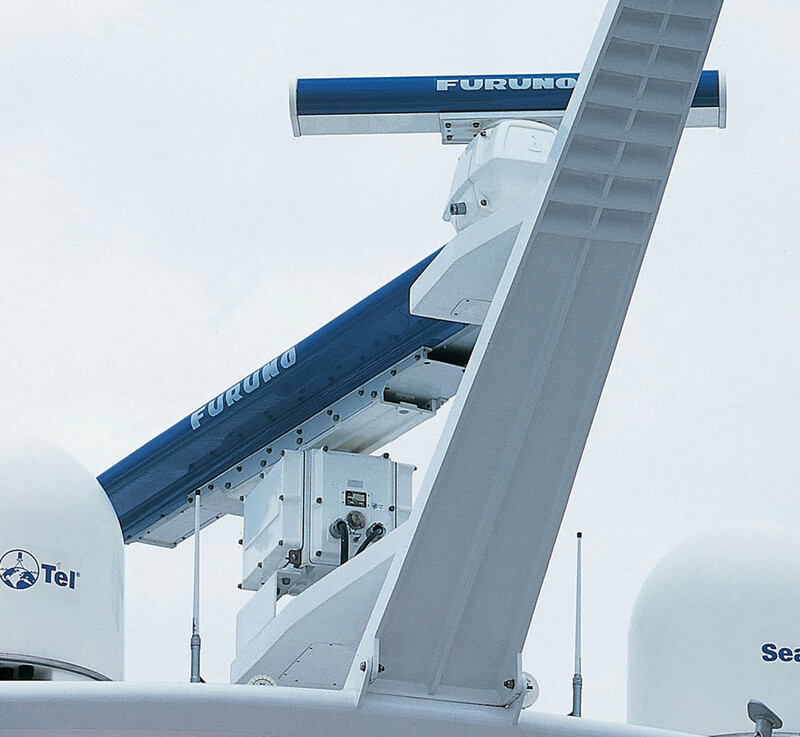 Larger radar systems use narrower beamwidth to overcome these challenges and deliver far-reaching performance. And if you want to be really safe, stay away from that microwave oven in the galley while your burrito heats up.